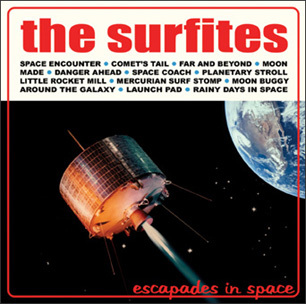 The Surfites, a gang of landlocked gremmies playing trad instrumental surf music, were formed in 2004 by the two Fjellgren brothers of Swedish 90′s surf band the Daytonas. 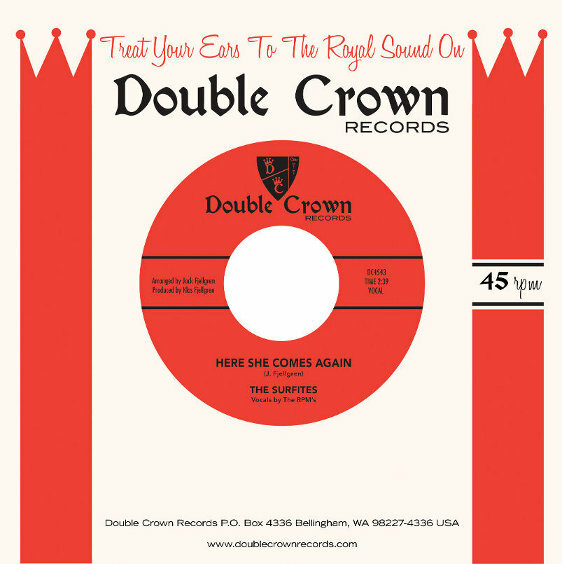 Their debut album Big Pounder came out in 2007 and was followed by Escapades in Space in 2008, both on Double Crown Records. 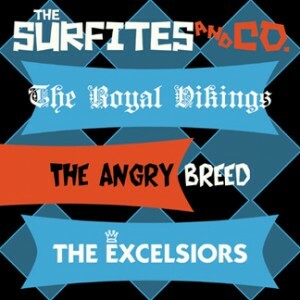 Their latest full-length release, Surfites & Co., shows off the bands skill at capturing a variety of sounds - traditional surf, fuzz guitar instros, Euro-style twang and frat rock. Not forgetting vinyl, the band released a 2 song 7" last year with one song featuring vocals by Baron Shivers of The Ghastly Ones. The Surfites take you along through a world of surfing, race cars, thundering hot rods, ancient Egypt, the Old Wild West and outer space! Their music is captivating and always exciting whether you’re at home, on the beach or at a swingin’ party! And the sound. Yes, their sound is very important to the Surfites. It has nothing to do with the predominant sounds of today. This is how music really should sound like: Wild, intense and of course swinging! 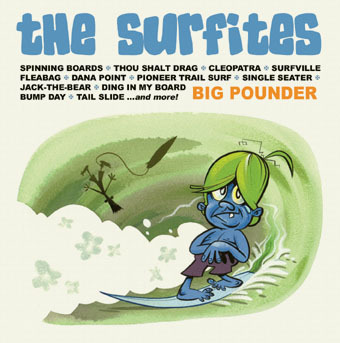 Tracks: Bump Day – Spinning Boards – Tail Slide – Cleopatra – Surf Encounter – Tortuga – Thou Shalt Drag – Surfville – Dana Point – Jack-The-Bear – Ding In My Board – Tube Steak – Fleabag – Pioneer Trail Surf – Big Pounder – Single Seater. Tracks: Launch Pad – Comet’s Tail – Space Mover – Moon Buggy – Little Rocket Mill – Rainy Days In Space – Around The Galaxy – Danger Ahead – Space Encounter – Far & Beyond – Marching Robots – Mercurian Surf Stomp – Space Coach – Moon Made – Planetary Stroll. The Surfites - Here She Comes Again / Theme For Surfers 7"